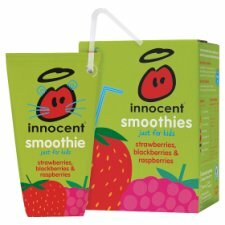 A delicious blend of strawberries, blackberries and raspberries, made with crushed fruit and pure juice. No concentrates, no added sugar or water, and definitely no bits. Gently pasteurised, just like milk.